Jeremy England, Head of Regional Delegation, New Delhi led a team to Bhutan 14-17 January 2019. If beginnings are anything to go by, Bhutan’s association with the ICRC in 2019 will be a fruitful one. 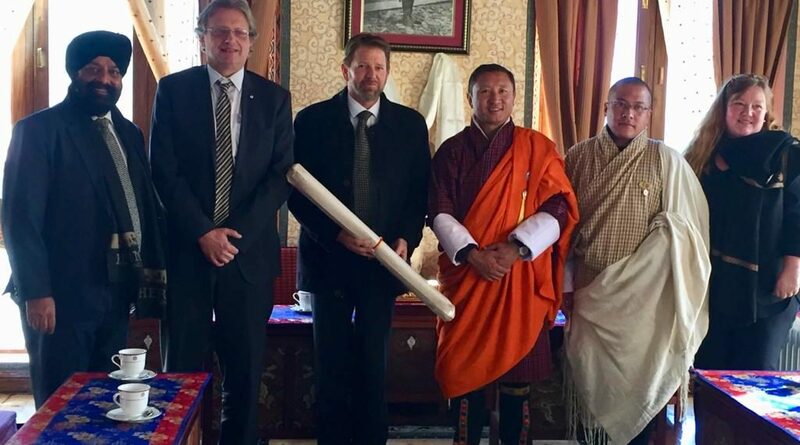 The mission was aimed at briefing the new political leadership on ICRC’s work in Bhutan and other countries and its relationship with the Bhutan Red Cross Society (BRCS). Over the years, the ICRC has offered capacity-building training related to the management of the dead during disasters, first aid, health emergencies and IHL promotion with Bhutanese peacekeeping troops. 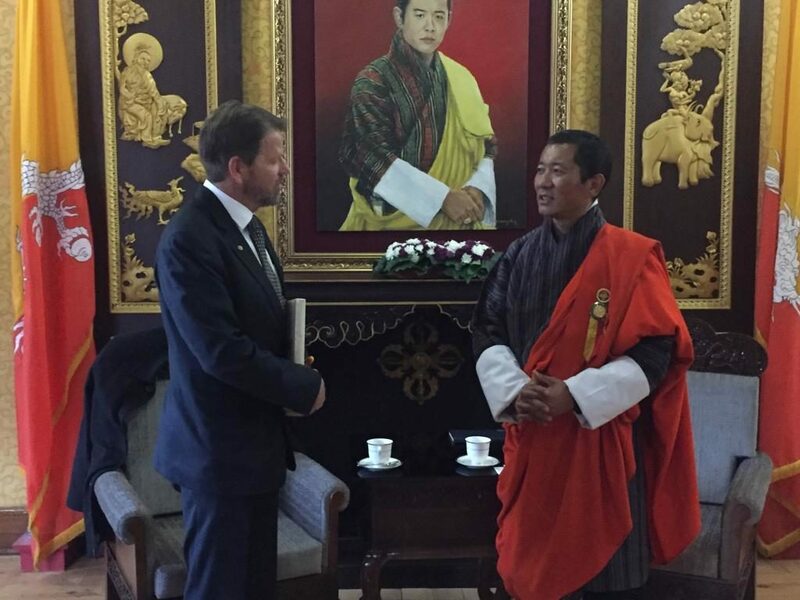 During meetings with Prime Minister HE Lyonchhen Dr Lotay Tshering, the foreign ministry, health ministry, home ministry, members of the judiciary along with the Chief Justice of Bhutan, the Bhutanese authorities acknowledged gains made on detention and prison system standards through ICRC’s past recommendations. ICRC also proposed to work with Buddhist leaders of the country as a continuation of ICRC’s religion and IHL programme which was appreciated. The team assured the authorities of its commitment to strengthen and support the BRCS. Bhutan is inching towards becoming the newest member of the Red Cross and Red Crescent (RCRC) Movement but its association with the ICRC dates back to time of World War I, when His Majesty, the First King, Gongsar Ugyen Wangchuck made a contribution of Nu 200,000 to the organisation. The generosity of countries like Bhutan have strengthened the spirit of the RCRC movement through the decades, and more than anything, humanitarian work demands a strong spirit.